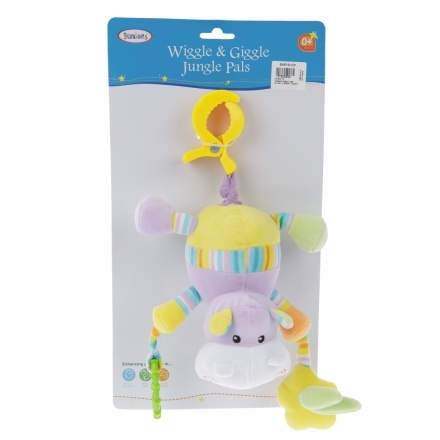 Juniors Wiggle and Giggle Jungle Pals | It has to be pulled for wiggling and can be rotated up to 360 degrees. 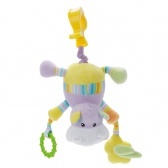 Attractive and soft, this wiggle and ball rattle can be attached to your little one's stroller to keep him distracted. Sporting attractive colours, polka dots and checks, this plush hippo toy has beads in its stomach that act like a rattle. Feature 1 : It has to be pulled for wiggling and can be rotated up to 360 degrees. Feature 2 : It can be attached to car seats as well.